Last week on September 25, while I was working on a segment of Keeping the Public in Public Domain by today's author, I discovered this on Wikipedia's home page "In the news" section: A U.S. federal judge rules that the copyright to "Happy Birthday to You", claimed by Warner/Chappell Music, is invalid. I'll try to avoid my rant about copyright here -- the end of my Keeping the Public in Public Domain segments clearly shows my sentiments -- but I'm ecstatic about this long overdue ruling! Warner/Chappell earned $2 million a year on a song dating back to their piano arrangement in 1935. Most or all of that money will never be repaid. Thank heavens the public kept the song alive. Public Domain was intended to keep our cultural heritage alive, which Sonny Bono and his 1998 Copyright Term Extension Act, saving Micky Mouse from entering the Public Domain, has gone a long way away from that intent. 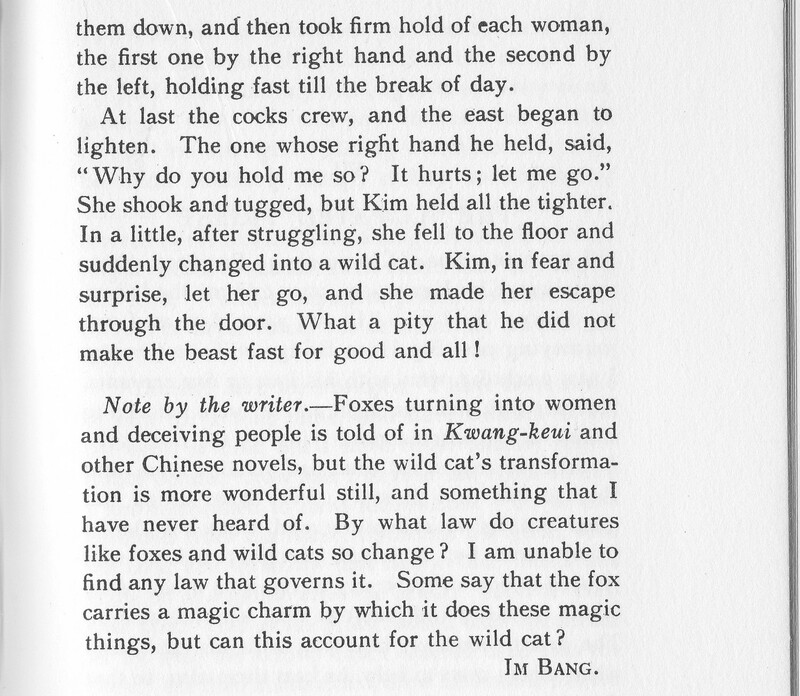 Fortunately it's often possible to find the sources to modern folktales. 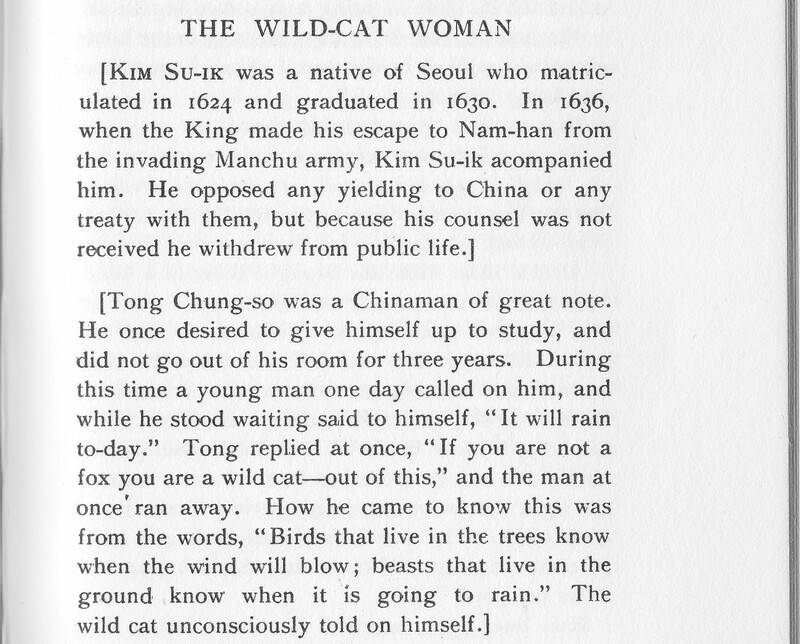 (Unfortunately not always, but folktales are living oral literature, so storytellers also help preserve the cultural heritage of many countries.) Today's story is one such source. 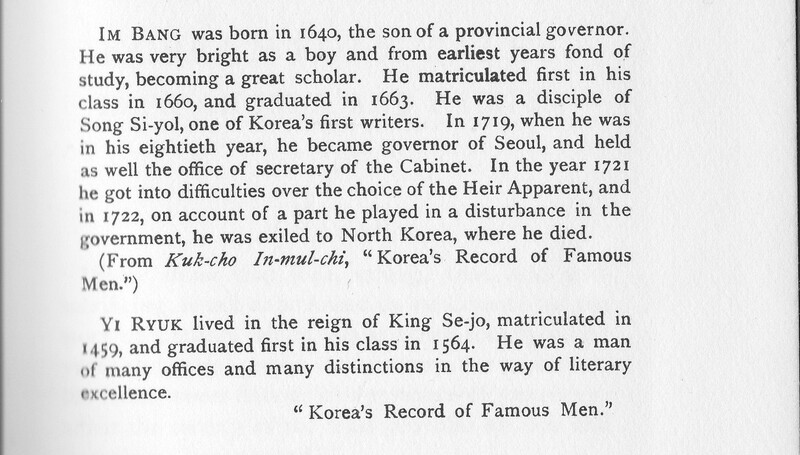 The 1913 book preserves Im Bang's introduction. 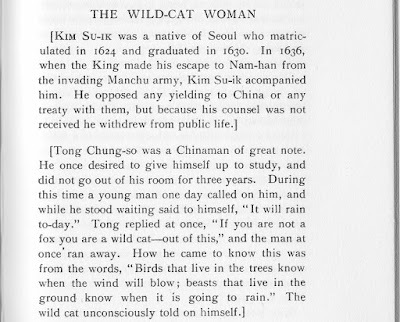 Those introductions throughout his Korean Folk Tales: Imps, Ghosts, and Fairies are both a blessing and sometimes a bit of a bore. It gives a clue about what will follow and often explains the background, but the stories are where the audience wants to be. I'll give both, it's an interesting explanation, but understand if you prefer to jump right to the story. 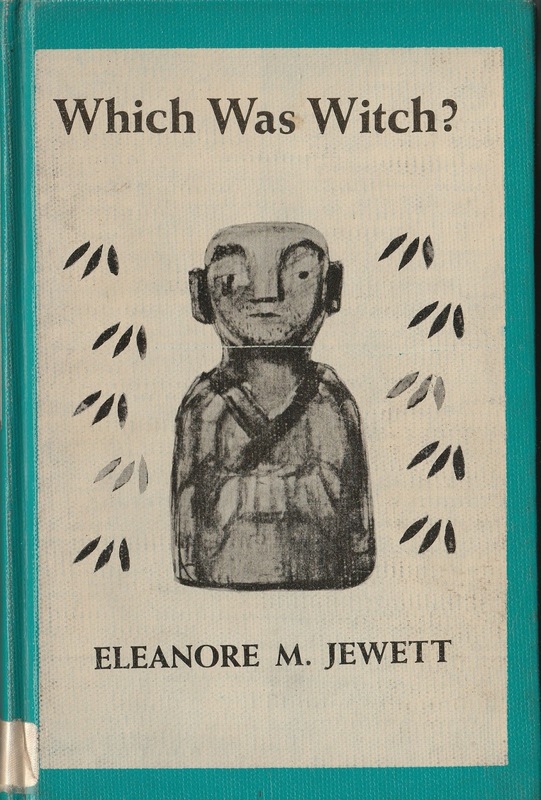 That story was re-told by Eleanore Jewett as the title story in her book, Which Was Witch. 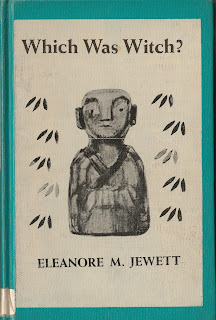 or at the online free book source, Chest of Books. 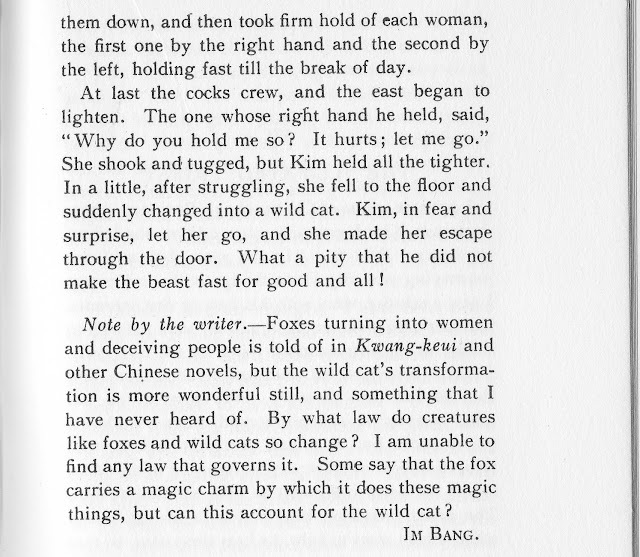 1913 translator James S. Gale in Korean Folk Tales: Imps, Ghosts, and Fairies tells us about both Im Bang and, the author of the last 14 stories, Yi Ryuk. 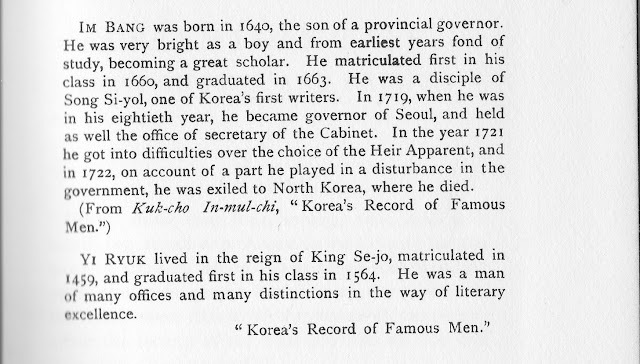 The jacket flap tells us Gale was a linguist, scholar, historian, and interpreter of Korean culture, but the Wikipedia article on James Scarth Gale gives us insight into how he fell in love with Korea even though it only mentions this important contribution to Korean folklore in passing. 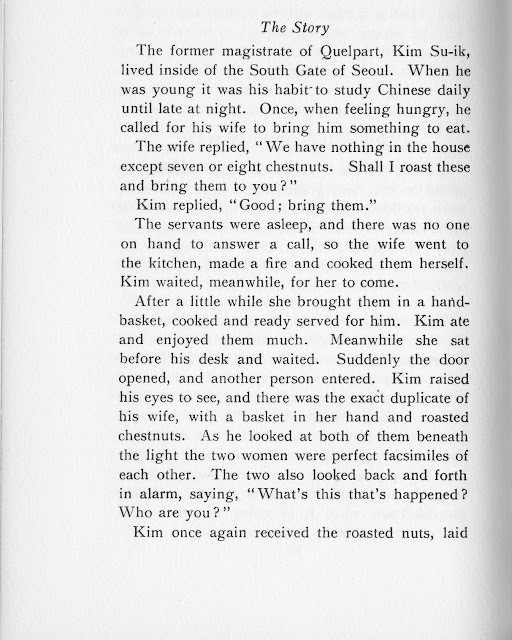 Because so much of the book fits the spooky nature popular during the month of October, I'm considering spending more time this month with stories from Korean Folk Tales. We'll see. It's like my answering machine message says: You just never know what I might be up to!